Over the past two decades, Neil Bluhm’s advancing presence in casino gaming has earned a robust chapter in an already storied real estate development career. Neil’s personal and professional background is well-chronicled: raised in Chicago by a single mother with modest means, as a young man he aspired to become a CPA and lawyer, working his way through the University of Illinois as an undergrad and then law school at Northwestern. 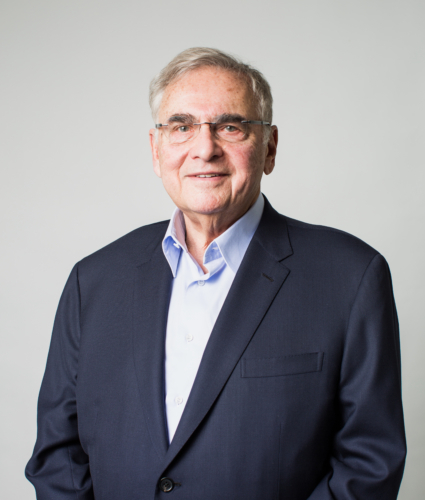 Following a brief stint as an attorney with Mayer, Brown & Platt, where he became a young partner, he co-founded JMB Realty in 1970 and began investing in real estate. Neil’s capabilities and portfolio soon expanded dramatically to include urban shopping centers and malls, five-star hotels, commercial office towers, residential projects and more. JMB became one of the largest property owners and developers in the United States. Neil and JMB set the standard for superior mixed-use developments that combine retail, dining, hotel, office and residential. Marquee projects included Copley Place in Boston, Century City in Los Angeles and 900 North Michigan in Chicago, featuring the prestigious Four Seasons hotel, among innumerable other high-profile ventures. It was Neil’s winning pitch to develop and operate Fallsview Casino Resort in Ontario that paired him with investment banker Greg Carlin in the late 80s. They launched Falls Management Company, which developed and still operates Canada’s most successful casino. In 1994, Neil co-founded Walton Street Capital, a private equity firm. Soon thereafter, Neil and Greg co-founded Rush Street Gaming, one of the fastest growing companies in the gaming industry. Neil is a trustee at Northwestern University, a member of the board of directors of Northwestern Memorial Foundation of Northwestern Hospital, a member of the board of trustees and chairman of the investment committee of The Art Institute of Chicago. He is past president and member of the board of trustees of the Whitney Museum of American Art, and a member of the board of directors for the Alzheimer’s Disease & Related Disorders Association.